The Catalyst Architecture + West Coast Contractors Design/Build team delivered it's final submittal materials to the Bureau of Reclamation's offices in Boulder City, NV yesterday. The submittal requirements included a completed conceptual design and detailed construction estimate of the proposed facility. 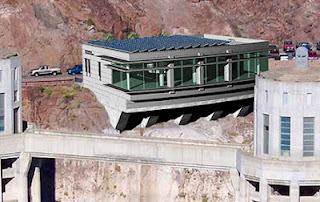 The new building’s expected use will be for flexible conference space for the Bureau of Reclamation and by corporate conferences, exhibit and meeting rooms for the general public, and for private weddings. A small Nurses Station will also occupy the main level.